Just in time for their FIRST EVER football season, Ticket Alternative client Kennesaw State University brings even more excitement to fans with the launch of their new Ticket Marketplace. When a Season Ticket Holder cannot attend a game, they now have the ability to sell their tickets on a single-game basis. 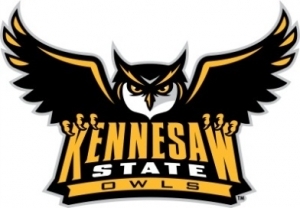 Owl fans can purchase these tickets directly from Season Ticket Holders, confident that their tickets are backed by the Kennesaw State Athletics Ticket Office. KSU Ticket Marketplace is the perfect place to sell (and buy) tickets that would otherwise go unused. If someone has an account with Kennesaw State Athletics, or has purchased online at KSUOwls.com previously, they simply needs to login here with their e-mail address and password. If this is the person’s first time using Owl Marketplace they will need to re-enter their account’s PIN. This solution offers a convenient and secure method of ticketing for both buyers and sellers alike and is a great addition to KSU Athletics. Go Owls!